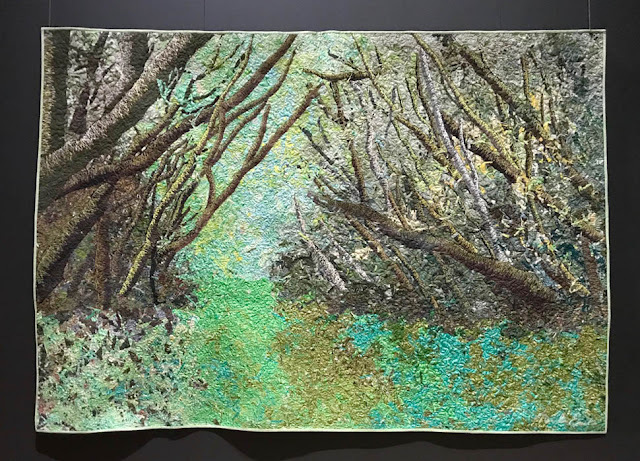 I'm back to share a little more of my trip to the International Quilt Study Center and Museum in Lincoln, Nebraska a couple of weeks ago. By far, the most amazing exhibit on display was "War and Pieced", a collection of quilts from the 1700 & 1800's made from the wool of military uniforms by men in the service. 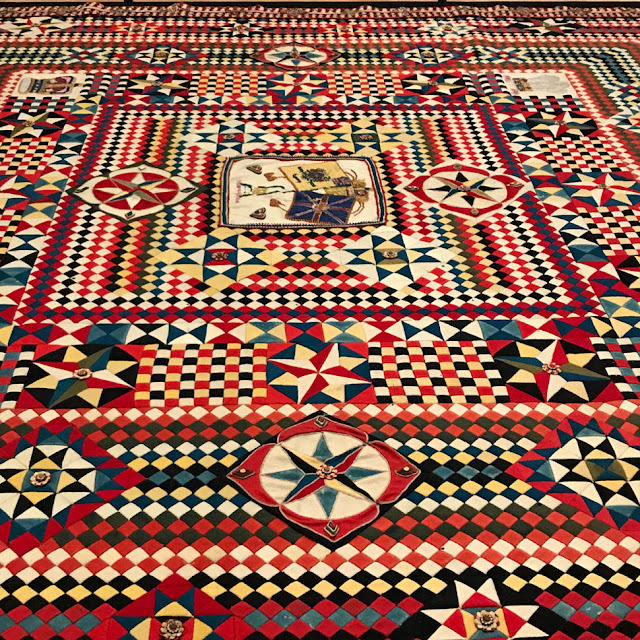 The term 'quilt' is used loosely as most of these textiles were not quilted, had no batting, and were almost never backed. Most were used as wall hangings, or sometimes table coverings, and others were used as game boards. 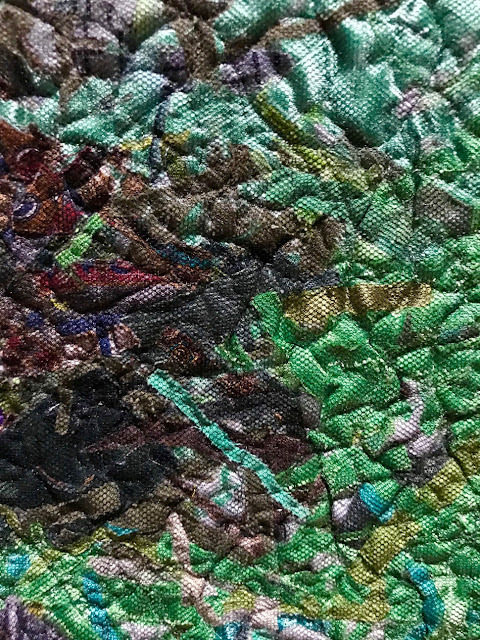 The textiles were all very intricate, many created with thousands and thousands of tiny pieces. Most were very detailed and orderly, much like the military backgrounds from which these men came. Layered appliqued cornerstone of the above quilt. Close up of the incredibly intricate layered applique border from the above quilt. Yet, some had a softer touch, as if they were trying to bring remembrances of their civil life back home to the war zone. Two of the quilts on display were appliqued pictorials created from photographs of actual events with elaborate floral borders surrounding them. 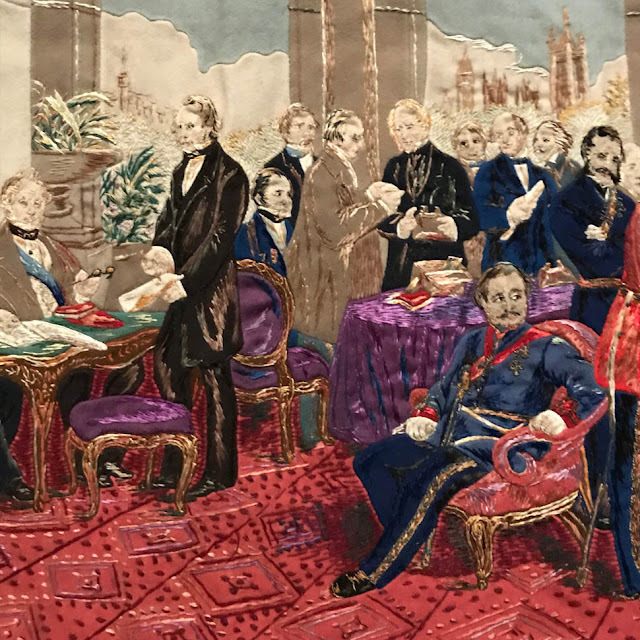 A close up of the appliqued pictorial. 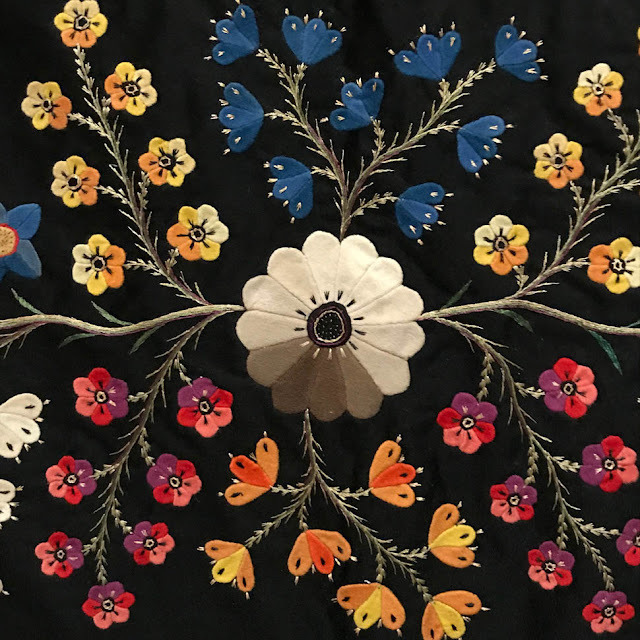 It's hard to imagine a soldier battling in war by day and embroidering on this detailed applique by night. 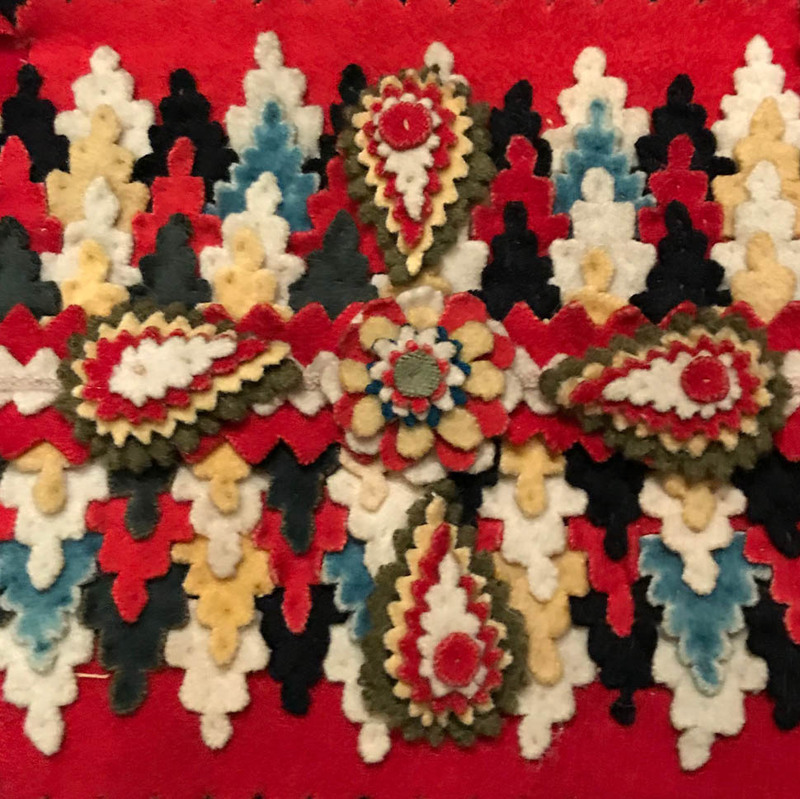 Close up detail of the embroidered and appliqued border of the above quilt. 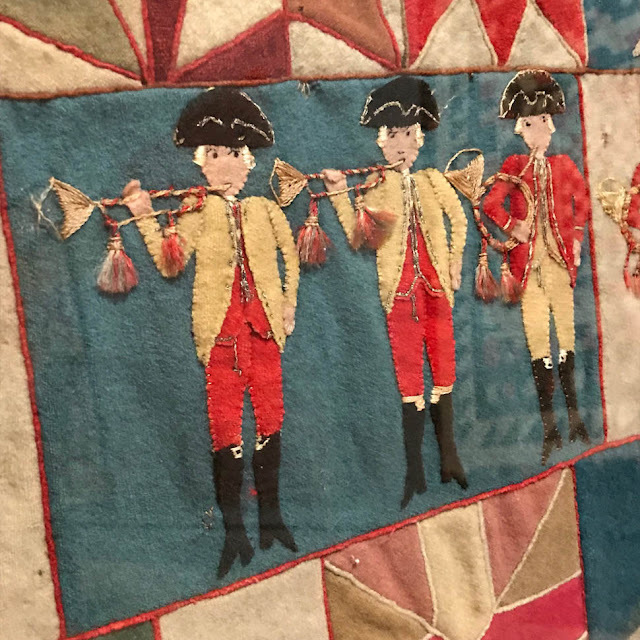 Close up of embroidered and appliqued soldiers. 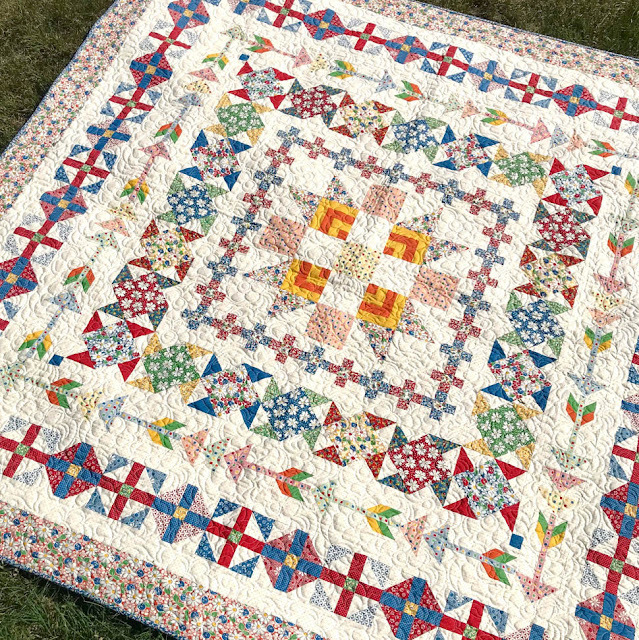 The piping in the block seams adds another dimension to the quilt. This was truly an awe-inspiring exhibit - be sure to go if you ever get the chance to see it. 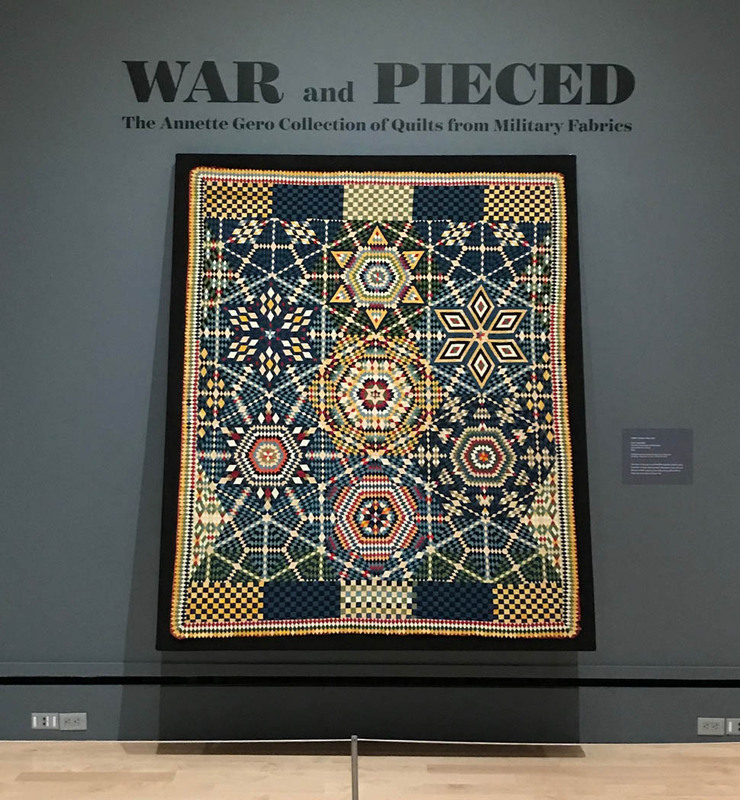 Unfortunately, the show is no longer on display at the International Quilt Study Center and Museum. 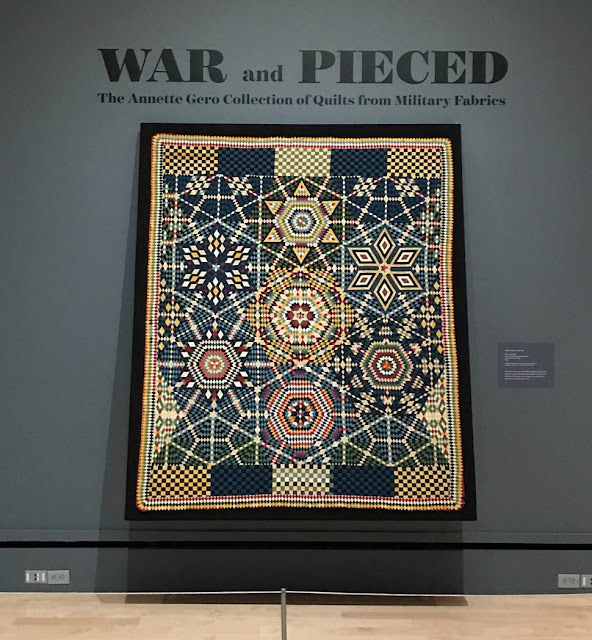 For photographs and more information about each quilt in the "War and Pieced" collection, click here. Finally finished!!! I made myself sit down and sew the binding on after I returned from my road trip to hear Moda Fabric's Mark Dunn speak at the International Quilt Study Center & Museum in Lincoln last weekend. Of course, the Kansas wind then had to blow for a day or two before I could get a few photos. This is my "Play All Day At Camp" quilt. 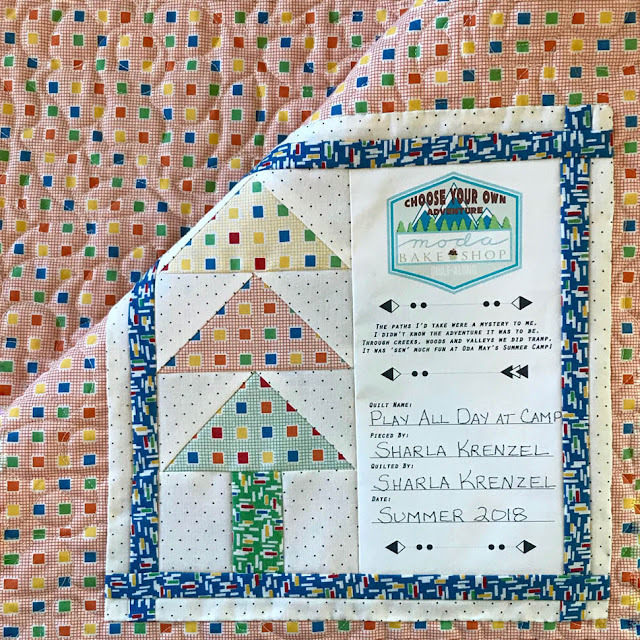 The name is derived from the fabric used - Play All Day by American Jane for Moda, and the camping theme of the Moda Bake Shop Choose Your Own Adventure Quilt-A-Long. 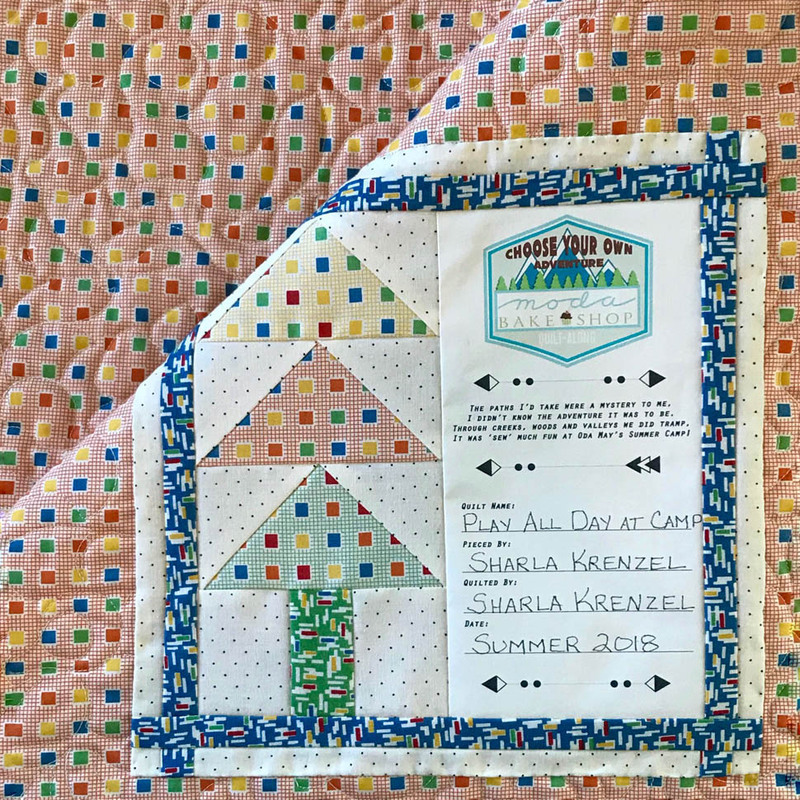 If you follow me here, you know I was one of the camp counselors and designers for this sew along. I really enjoyed this QAL. 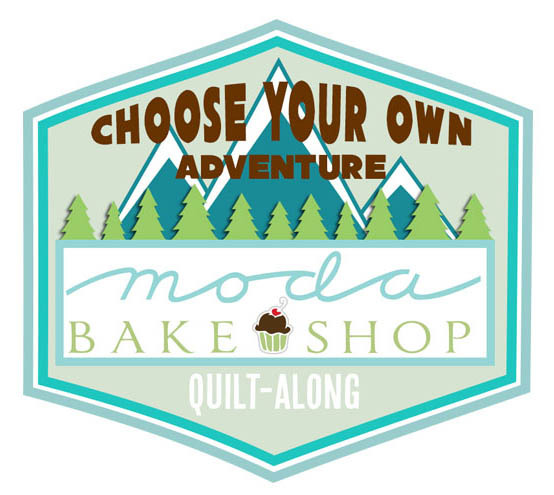 Everyone jumped into the theme and played along as we shared about our 'camp' adventures on the Moda Bake Shop Bakers Facebook page. 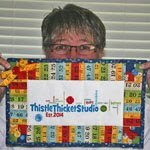 All of the interaction with other quilters made it so much fun. And my fellow camp counselors were awesome to work with!! 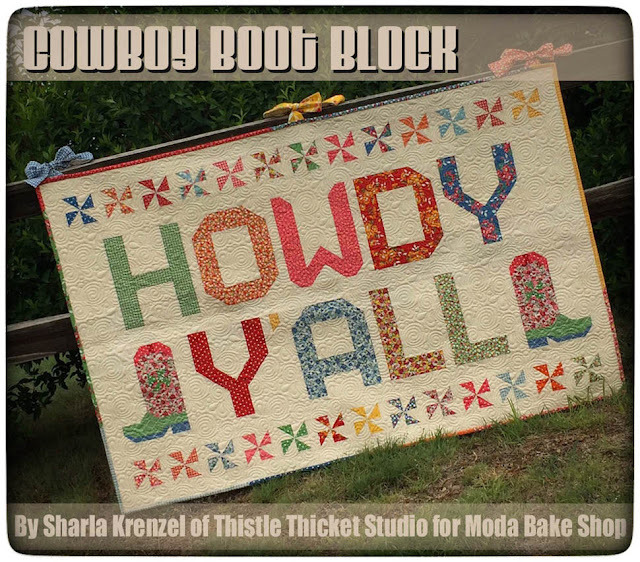 Of course, my favorite block in the quilt is the Arrowhead Lake block that I designed. I just thought it was on target (get it?! Ha, Ha!) with the summer camp theme. 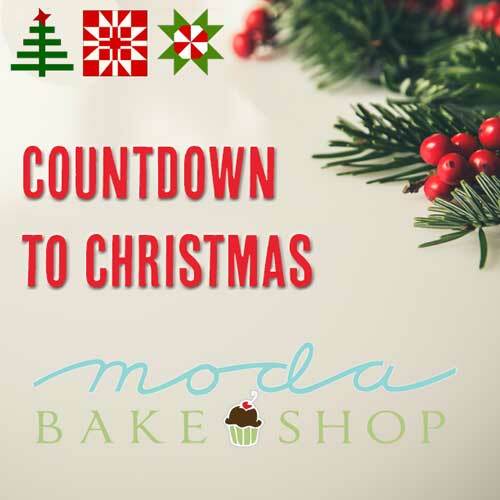 I also enjoyed designing the label that participants could download and print off from the Moda Bake Shop website. I even added a little poem to commemorate the QAL. 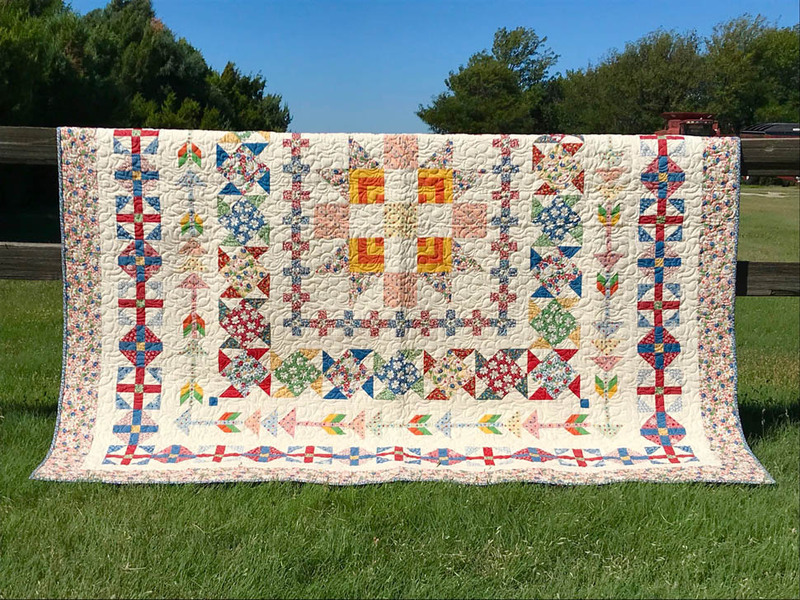 As promised, I'm back to share a little about my road trip with my mom to the International Quilt Study Center and Museum in Lincoln, Nebraska last week. When I saw that Moda Fabrics owner Mark Dunn was going to speak at the opening of "The Mark Dunn Collection" exhibit, I told the hubby that's what I wanted to do for my birthday. He was happy for me to go as his birthday present to me (because he didn't have to shop for anything, I'm sure) but thought it would be a better mother-daughter trip. So off I went with my mom in tow for a three-day road trip! 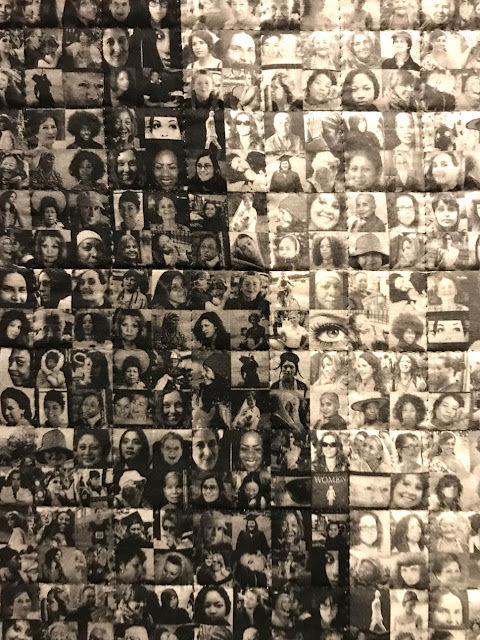 The opening of the show was in conjunction with the museum's monthly First Friday event. We had an hour and a half to view the exhibits before Mr. Dunn's presentation, so we headed to the main gallery floor where there was not one, but four shows on display - Color and Contour: Provencal Quilts and Domestic Objects, Marti Michell and the Business of Quilts, War and Pieced, and The Mark Dunn Collection. 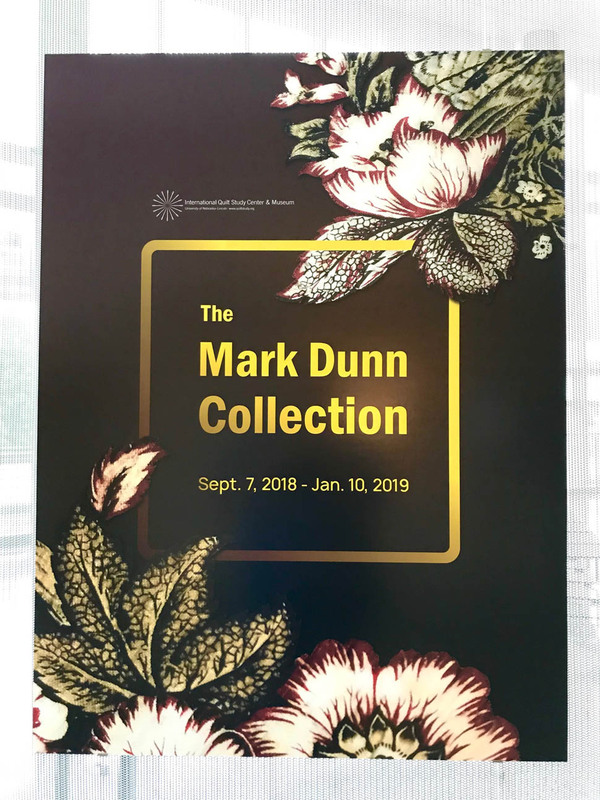 Today I'm just going to share about Mr. Dunn's exhibit - but stay tuned, I'll share more on the others later this week. I would divide the collection that Mr. Dunn chose to show into three categories: historical antique quilts, reproduction quilts from Moda's Collection for a Cause fabrics, and modern art quilts. My favorites were the three modern art quilts on display. Two were whole cloth quilts made up of thousands of tiny 1/2" (maybe smaller) photos digitally printed on a cotton fabric. Both were made by Deborah Langsam of Charlotte, North Carolina. 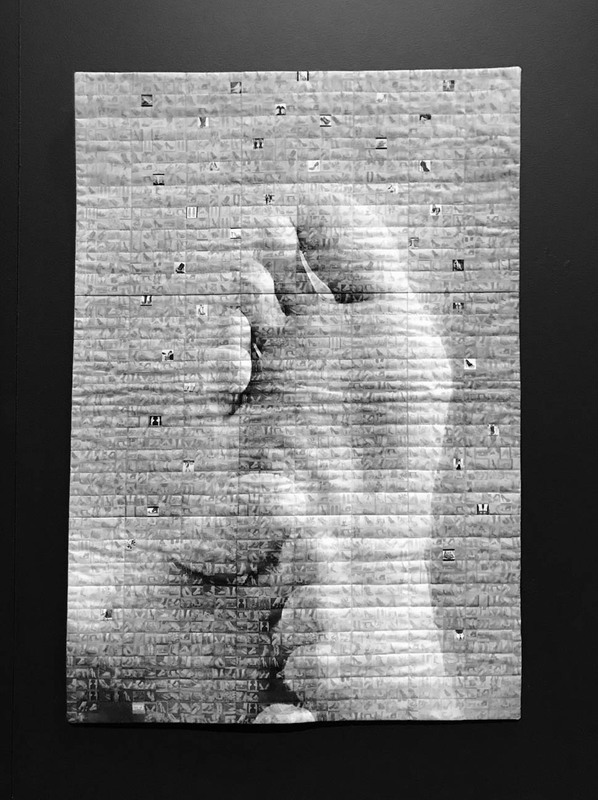 The above quilt, titled "Shoe Envy", depicted a pair of bare feet which was made up of photos of pairs of shoes. But it was her quilt, "Any Woman, Every Woman" that really grabbed your attention. 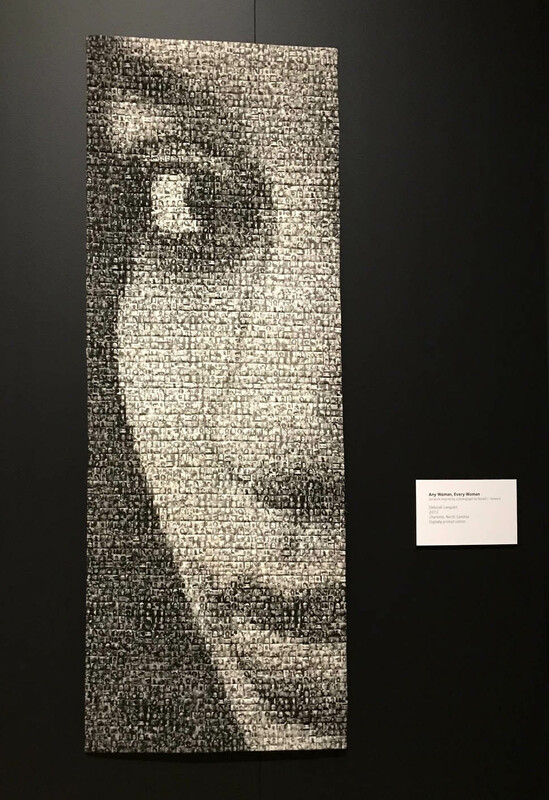 It was comprised of thousands of tiny black and white photos of woman of domestic violence that created a mosaic portrait of a woman whose haunting eyes seemed to follow you as you moved around the room. Noriko Endo created this landscape quilt, "Nature in New Zealand", with tiny scraps of fabric placed to create the image and then covered with tulle and quilted to hold the scraps in place. 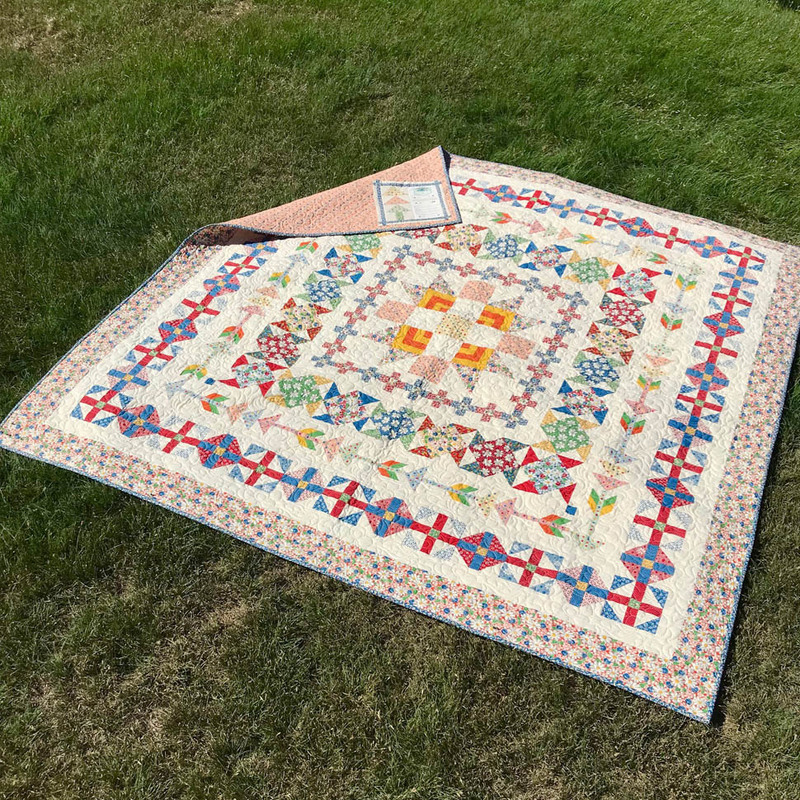 I enjoyed seeing a few of the antique quilts Moda has used for their inspiration for their Collection for a Cause fabric lines, such as this cheddar-colored, hand-pieced and hand-quilted Ohio Star quilt. The original, on the left, was made circa 1870-1890 by an unidentified maker who inscribed the intials "I.M.L." on the back. 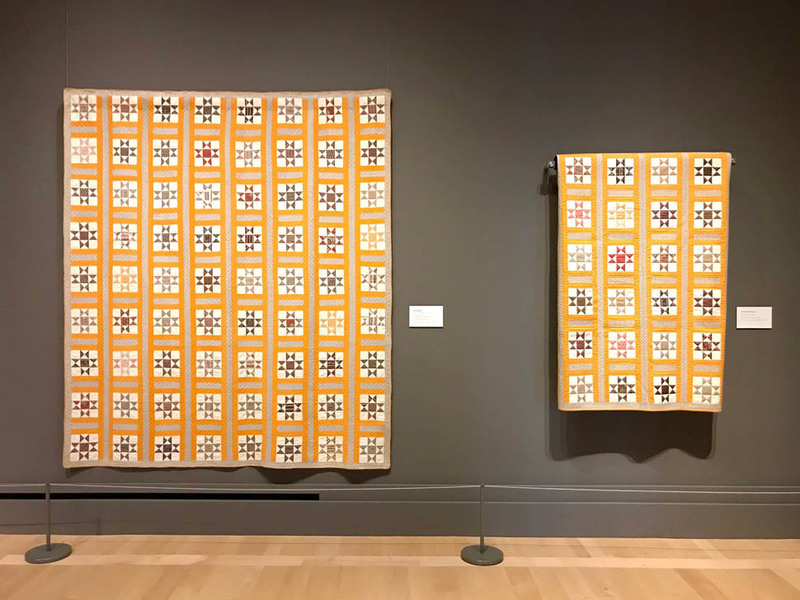 On the right is Moda's machine-pieced and machine-quilted reproduction quilt, "Charity", made in 2014. The revenue from the sales of the fabric collection were donated to the Alzheimer's Association. The remaining quilts in Mr. Dunn's show were antique quilts. 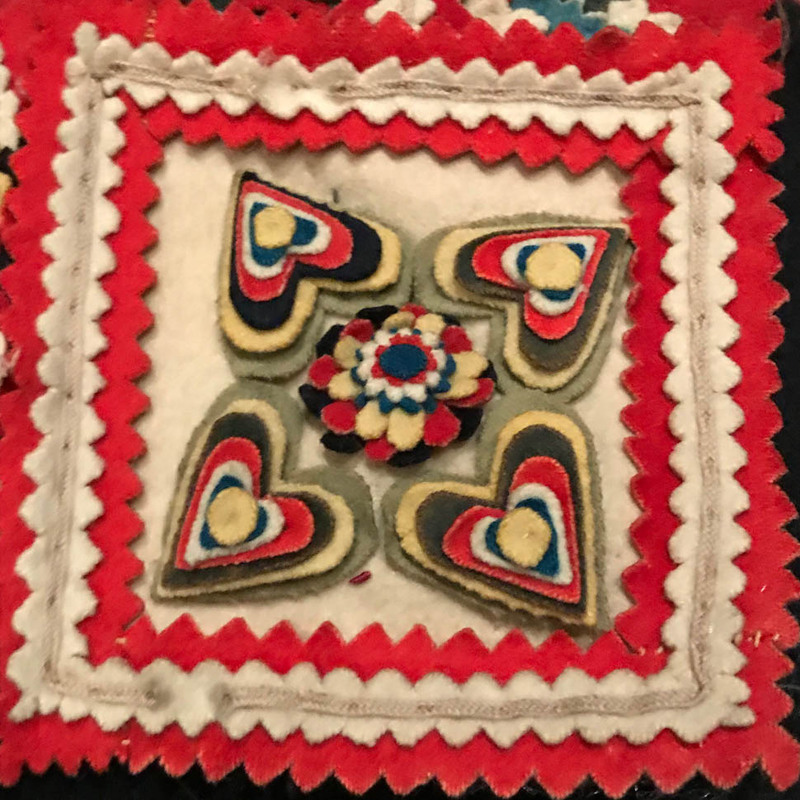 My favorite was this hand-pieced, embroidered and tied fan quilt from 1880-1900. 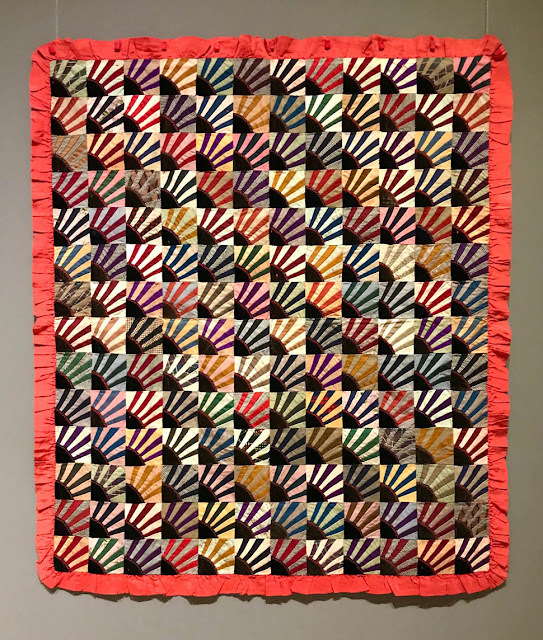 I love the modern feel of this antique quilt and I love the ruffle on it. After we had viewed the four exhibits, we claimed our seats on the front row to hear Mr. Dunn's presentation. 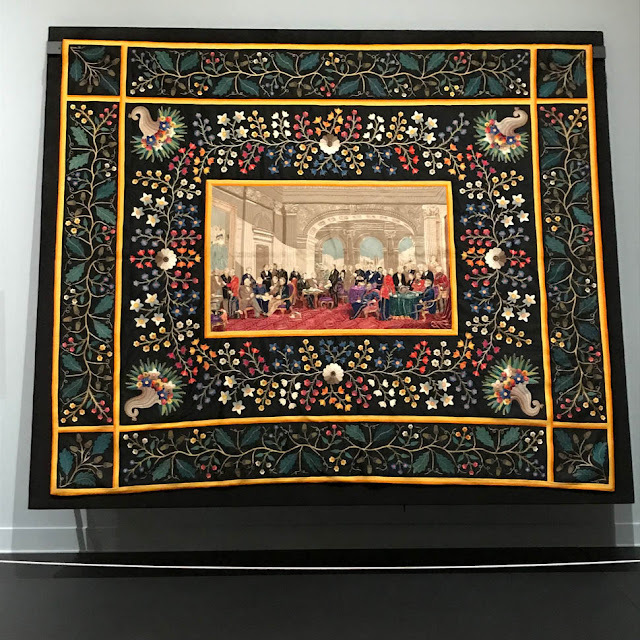 He talked about his history in the textile industry, how fabric is produced, his colorful wardrobe, and about his interest in quilts and why he collects them. Afterwards, mom and I had the opportunity to visit with him about his exhibit, my interest in textile design and building my portfolio. He told me that my "Molecules of Moda: Bella Solids" quilt hangs in his home. What an honor!!! 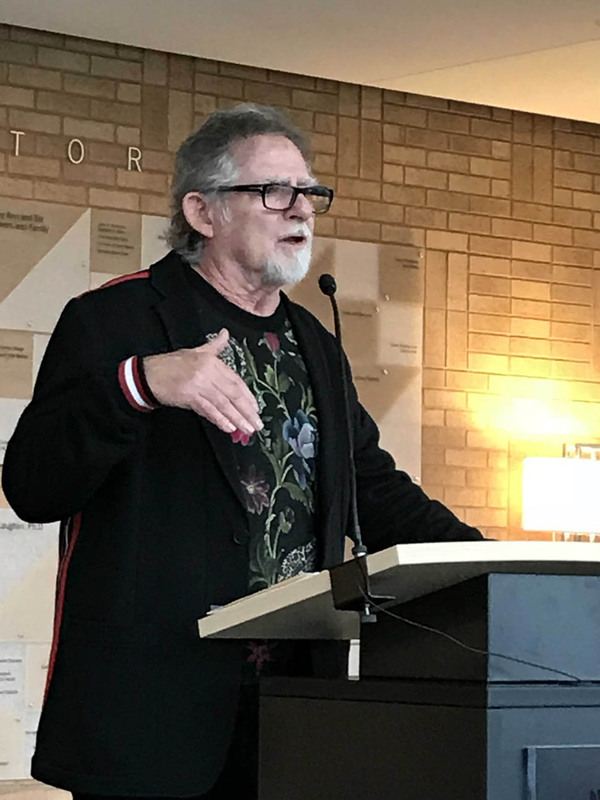 I'm home from my road trip to the International Quilt Study Center and Museum to hear Mark Dunn, Moda Fabrics, speak about the textile industry and his quilt collection on display at the museum. I'll share more about that once I go through my photos, but wanted to share what was in the mail when I returned home! 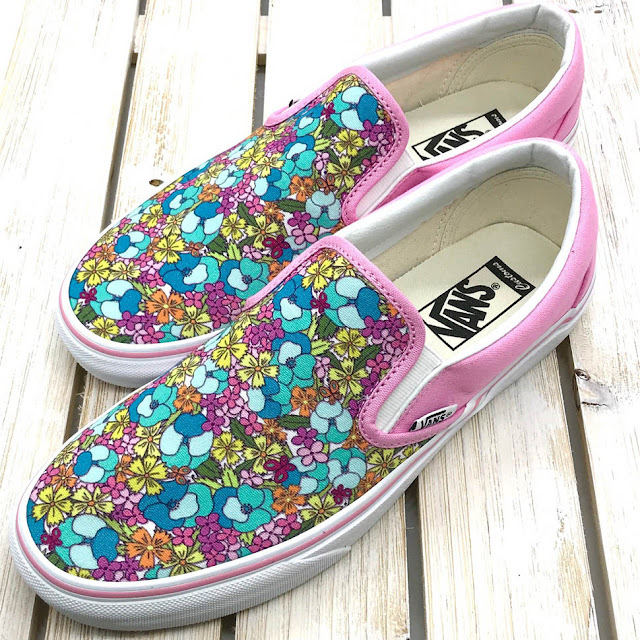 First off, my new custom designed Vans shoes arrived! 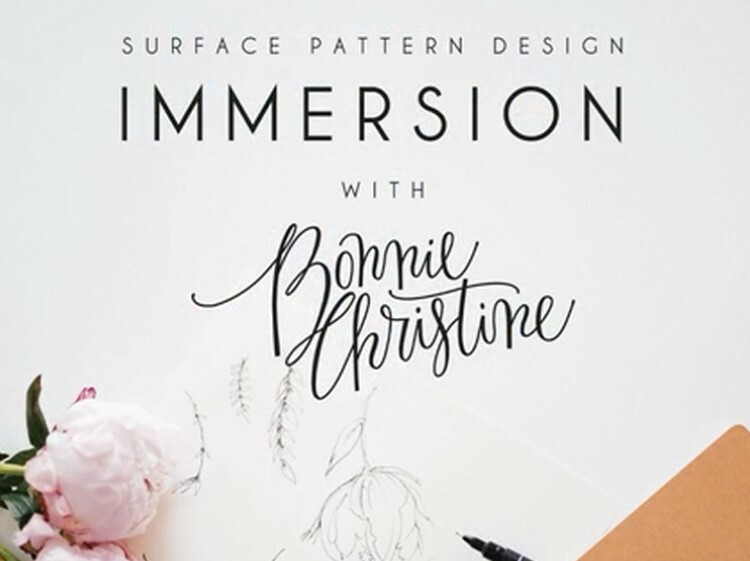 I designed these using my Pansy Parade surface pattern design. So excited! I'm working on a collection of designs to coordinate with this pansy print right now. Maybe wearing these shoes will inspire me! 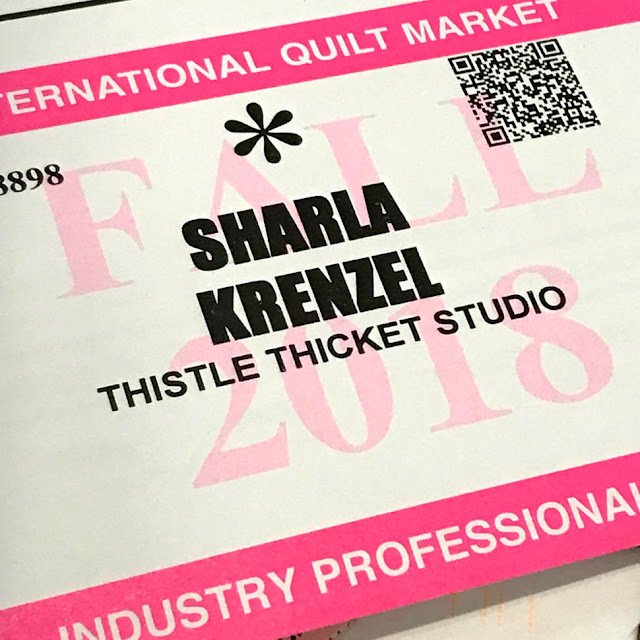 Secondly, my creds must have been good because my Fall Quilt Market badge was in the mail too! I've been to market several times as a shop owner and last year as a guest of Moda to see my "Molecules of Moda: Bella Solids" quilt, but never as a surface pattern designer. It's getting closer and I have soooo much to do to get ready! This makes it scarily real and really scary! My birthday was last week. It was very low key as the hubby was on the tractor preparing our fields for wheat planting. I spent the day working on designs for a textile pattern collection. Slowly, but surely, I am making progress towards putting a portfolio together. My mom always knows what to give me for presents. 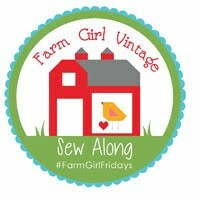 For this birthday, she went shopping in her own personal stash of vintage sewing notions. 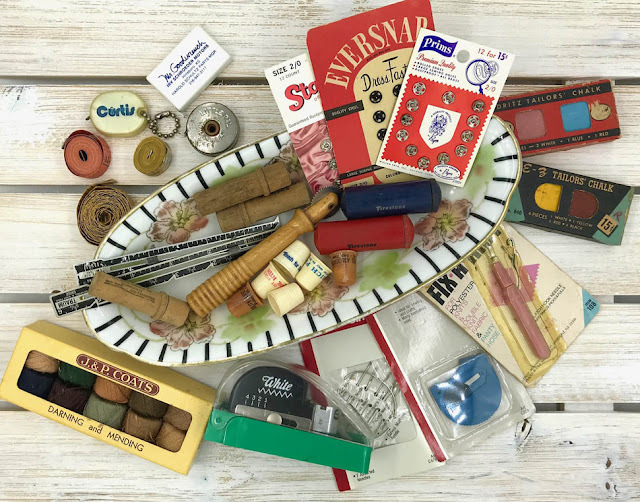 I love vintage plastic advertising thimbles, old tape measures, old-fashioned buttons and snaps on cards, and other sewing notions from days gone by. It's always a challenge to figure out a cute way to display them and that's on my to-do list with these goodies. My mother-in-law also went shopping in her stash and gifted me the hand-painted china celery (?) dish from Germany that was a wedding present to the hubby's great aunt and uncle. My gift from the hubby is a trip to the International Quilt Study Center and Museum in Lincoln, Nebraska to see the Mark Dunn Collection and to hear Mr. Dunn's (Moda Fabrics) presentation "Quilts and Their Stories". My 'Molecules of Moda: Bella Solids' quilt is in Mr. Dunn's collection but who knows if it will be included in this display. 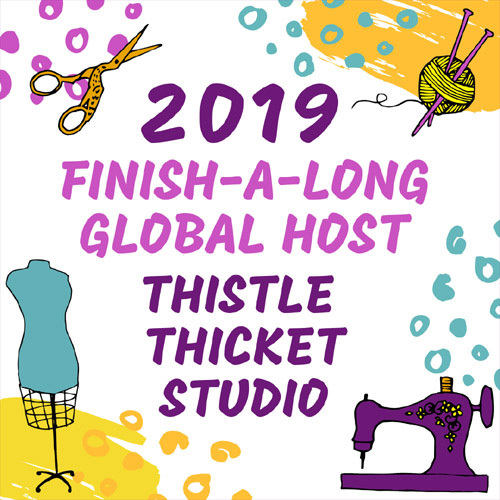 The hubby, however, has chosen to bow out of attending - he said it sounded like more of a mother-daughter road trip, so my mom and I are headed out tomorrow for 3 days of quilting and antiquing fun! Can't wait to share more when I return!